Life is challenging for many, especially when viewed from the concept of light and darkness. Where does the world seek shelter when they cannot see their way through life’s struggle? This picture of the light that shines in a dark world deserves attention. First Saint John Full Gospel Fellowship is that beacon of light which shines, and Bishop Kenneth B. Spears is the Shepard who guides it. Statistical data for the City of Fort Worth gives note of just how impoverished some areas really are, including the south side where the light of this church reaches many there. Poverty in the city has a wide range of targets one in particular; the 18 to 24 age group at just above 11 percent is hardest hit. Moreover, data includes single females with children who make their homes in the area where this church presides. Females with no husbands represent 53 percent of the poverty level here. Where does “the church on the hill that serves in the valley” fit into this sea of poverty? When asked what the message of the “Church on the hill” conveyed to those in the valley Bishop Spears gives an account of Moses who stood on top of the mountain with his hands lifted, and of Joshua and Aaron in the valley fighting. This illustration builds confidence in the man of God as a spiritual intercessor for those in need while encouraging one to look up to seek further past the problem for help. The glimpse of prayer going forward on behalf of the people also lends credence to the church mission statement says, “To build a ministry that re-establishes confidence in God, the body of Christ, pastors, and/or preachers in the local assembly in the communities where we live.” (Hebrews 10:35). Truly the people have much to place their confidence in. The church is an active participant in the community it serves and is seen making great strides to ensure they play a key role to alleviate poverty in the community; prayer is always the key to change, and answered prayer has brought much needed business development to the community and neighborhoods. He says, “I suspect that if you only view the church as an “institution” it will dampen the “inspiration.” But I view the church not as an “institution,” but a unique, live, vibrant family that is constantly changing and growing.” He speaks further to add that the spirit of God is continuously moving this being the essential nature of the body of Christ. Intercessors are in place to pray before, during and after worship to prevent the dampening of the worship experience no matter the size of the body. In the community the church serves an even greater purpose of fulfilling their mission of building confidence through their Community Development Corporation which allows focus of health education, homelessness and concentrations to enlighten issues concerning senior adults to be addressed; and, as a result the church is watching change in a number of areas, Bishop said. 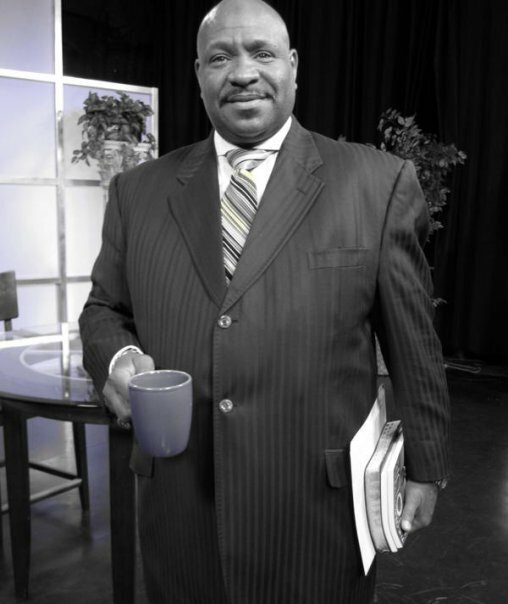 Accordingly, Bishop Spears’ sermons are broadcast on several radio stations in several cities across the states; Texarkana and Hope Arkansas along with some parts of Louisiana, Kansas City, Missouri; services can be viewed via streaming over the internet from the sanctuary. Women today still face challenges in the church; as well as in the community because of discrimination in the pulpit, competition in the work place as well as the political arena. Bishop Spears, author of the book, “The Church’s Finest Hour,” addresses a key issue concerning women through a conversation with God who speaks of his deceased mother “Doris.” In that conversation he confesses that he was posed a question where God asked, “If Doris could talk about Me in her house; why can’t she talk about Me in My house?” Bishop Spears notes that this question and conversation was an incentive, and a precedent to embrace women in leadership roles in church and out. He is supportive of women using their gifts, but shares that from a Godly perspective all should be used “decently and in order,” which ensures neither her husband’s role, or the role of her pastor is not compromised. Well said Bishop. Indeed the church is in its finest hour. This entry was posted in Professional Blog, Profile/Feature Story, Religion and Spirituality, Women Issues and tagged Bishop, Christ, Community Development Corporation, God, Kansas City Missouri, Missouri, Presiding Bishop, United States. Bookmark the permalink.